On Friday, December 6th, 2013, the Food and Drug Administration (FDA) approved Sovaldi® by Gilead Sciences, for the treatment of chronic hepatitis C. This new drug will make the treatment of hepatitis C shorter and more effective than the alternatives currently available. Hepatitis C afflicts some 150 millons people around the world. In some countries of Africa one out three people are infected. One advantage of the new drug is that it makes an oral treatment of hepatitis C possible for the first time. A standard 12-week course of treatment with Sovaldi® cost $84,000. Gilead Sciences says the price is consistent with the cost of previous treatment regimens (statement disputed by independent experts) and is reasonable given the drug can have fewer side effects and cures a higher percentage of patients compared with other drugs. However, a recent forum in San Francisco (California, USA) concluded that Sofosbuvir offered “low value”, in large part because of its high price (assesssment of Institute for Clinical and Economic Review , a nonprofit organization based in Boston, Massachusetts, USA). This drug will be sold for much less in many other countries. Gilead Sciences plans to license three to five Indian Drug Makers to produce Sovaldi®. So, Sovaldi® will cost about $2,000 for six months of treatment through public hospitals and community clinics in India (compared with $168,000 for six months in the USA. Gilead Sciences said similar arragements might be made in 60-low and middle-income countries. Prices in Europe are high but not as high as in the USA. Sofosbuvir (marketed under the name Sovaldi®), the cost of a 4-week treatment is $28,000, in other words, $1,000 a day. A full treatment for a hepatitis C infection usually requires 12 weeks of treatment (about $ 84,000), and the treatment for some hepatitis C serotypes require up to 24 weeks (approximately $168,000). According to many experts, including Michael Weinstein, president of the AIDS Healtcare Foundation, this treatment is unaffordable for most public and private Health Care Systems. Gilead Sciences has also been criticized for the high price of their drugs against HIV infection. 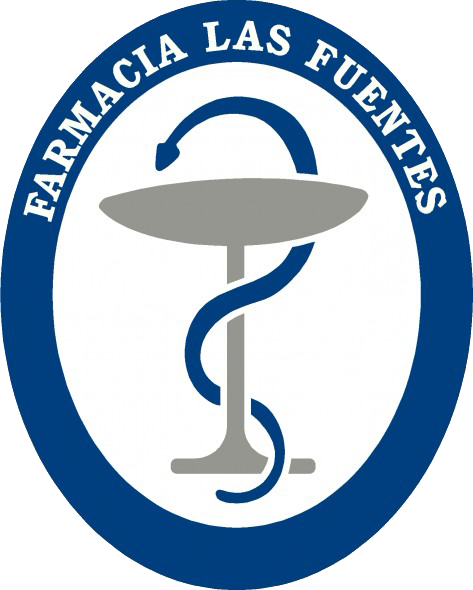 [Note that in the U.S., the government is not able to regulate the price of medicines]. Initiative for Medicines, Access and Knowledge, an association based in New York, United States, through legal procedures, is trying to prevent the drug from being patented in India. If this succeeds, the Indian generic manufacturers would be able to sell cheaper versions of Sofosbuvir for distribution, not only in the Indian Federation, but also in many other countries, which would not be able to offer treatment to their citizens otherwise. The manufacturer and marketer of Sofobuvir, under the registered trademark of Sovaldi®, said that the cost of the drug, although high, could be justified by the high rate of success achieved in treatment cycles of 12 weeks. The cost of the treatment with this new drug is even lower than the alternatives currently available. Gilead Sciences declared that they could provide patients with partial funding for the medication if necessary, and in that way supplement health service coverage. It is estimated that between 3 and 4 million Americans are chronically infected by the hepatitis C virus, although in many cases those infected are unaware of the fact. The virus adversely affects the liver function, which eventually leads to cirrhosis, and in some cases liver cancer. In the case of cirrhosis, liver transplantation may be required, and liver cancer is a medical condition with a very high mortality rate. While it is very difficult to make a reliable estimate, approximately 150 million people worldwide are infected with hepatitis C.
The financial and pharmaceutical world were surprised when Gilead Sciences bought Pharmasset (where Sofosbuvir was developed) in 2011 for $11 billion. This acquisition stimulated research into oral treatments for hepatitis C.
AbbVie, Bristol Myers Squibb, Merck, Johnson & Johnson, and other Pharmaceutical Companies are also developing potential drugs against hepatitis C. It is expected that some of these drugs will reach the market within the next two or three years. Some financial analysts are very optimistic about the economic benefits that can be obtained from the sale of Sovaldi®. Matthew Roden, an analyst at UBS, said (December, 6th 2013) that Sovaldi® sales could top $13 billion, equalling the sales of Lipitor® (atorvastatin calcium ) by Pfizer, a true blockbuster in its time. Several Pharmaceutical Companies (Merck, Roche and Idenix Pharmaceuticals) have filed suits against Gilead Sciences, arguing that marketing Sovaldi® violates international patent regulations. If all, or some, of these suits prosper, the consequences will be that the plaintiff will receive part of the royalties from the sales of the drug, but not delay or interrupt its marketing. Until two years ago, the treatment of hepatitis C was carried out administering an injection of Interferon-α (2) for periods of 24 to 48 weeks, along with daily oral doses of Ribavirin (3). This treatment could attain a microbiological cure in half of the infected patients, but the adverse side effects of this treatment, including anaemia and depression, were significant. 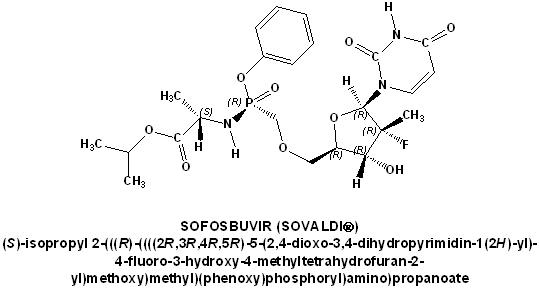 Sofosbuvir (4) (Sovaldi®) inhibits the viral polymerase enzyme which catalyzes the replication of the virus genome. This is an identical conceptual approach to that used for the treatment of HIV infection. And, as occurs in the treatment of HIV infection, with hepatitis C, two or more drugs must be used in order to prevent, or limit, the emergence of resistant virus serotypes. The microbiological cure rate achieved with Sofosbuvir is approximately 80%, although this percentage of success, as well as the duration of treatment, depends on the virus serotype. In genotypes (serotypes) 2 and 3 (representing between 20% and 25% of all hepatitis C infections), Sofosbuvir should be administered in combination with Ribavirin. This therapeutic approach to the treatment of hepatitis C is the first that uses two drugs administered per os. The duration of treatment for infection with genotype 2 is 12 weeks; 24 weeks for viral genotype 3. Virus genotype 1 accounts for approximately 70% of all hepatitis C patients. In these cases, it is necessary to continue administering a weekly injection of interferon-α as well as Ribavirin and Sofosbuvir. However, the duration of treatment is 12 weeks, and the microbiological cure rate is about 90% of naïve patients (who have received no previous treatment). The side effects are, according to phase 3 clinical studies, moderate, but barely distinguishable from those of other drugs that have to be administered along with Sofosbuvir. Ribavirin was administered in multiple daily doses, complicating the patients’ compliance. Gilead Sciences is developing a pharmaceutical preparation that combines Sofosbuvir and Ribavirin in a formulation that makes a single daily administration feasible. Normally, this formulation would only be intended for patients with genotype 1 hepatitis C. If clinical trials are successful, this new formulation (the drug that combines Sofosbuvir and Ribavirin for one daily administration) could be commercially available in late 2014. 1. Bybee KA, et al. . Cumulative clinical trial data on atorvastatin for Reducing cardiovascular events: the clinical impact of atorvastatin Curr Med Res Opin 2008; 24: 1217-1229. 2. Dorr RT. Interferon - α malignant and viral diseases : a review. Drugs 1993; 45: 177-211. 3. Reddy KR, et al. Ribavirin: current role in the optimal clinical management of chronic hepatitis C. J Hepatol 2009; 50: 402-11. 5. Draft CATF Report on the Treatment of Chronic Hepatitis C Infection Posted For Public Comment. http://www.icer-review.org/?s=Sofosbuvir. In: www.icer-review.org. Consult: April 2014.